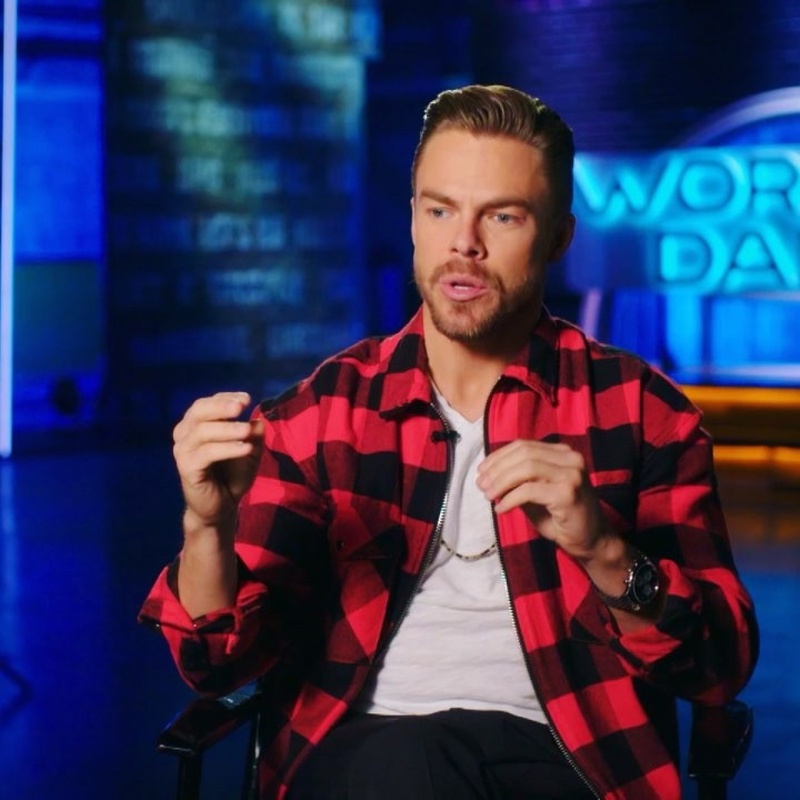 Derek Hough, who is preparing to embark on a nationwide tour, said Sunday's episode of "World of Dance" will feature a "dramatic" change for the show. Hough, 33, a six-time "Dancing with the Stars" champion, said the upcoming episode of "World of Dance's" third season on NBC will see the debut of a new segment called a "redemption round." "The two highest-scoring people who get knocked out [Sunday] will come back at the end of that episode and go head to head in a classic dance battle using the same song," Hough told UPI. He said the new addition makes for some "really dramatic, really cinematic moments" as the two dancers battle over who remain on the show for another week. Hough said his experiences on "Dancing with the Stars" and earlier competitions give him a different perspective than his fellow "World of Dance" judges, Jennifer Lopez and Ne-Yo. "I've had a number on my back, literally, since I was 12 years old," he said. "I understand what that's like, how that feels." Hough said he likes to give competitors constructive feedback on how to improve their performances. "Sometimes, I even go backstage and actually talk to the contestants and say, 'Hey, next time I think you should try this or do this.'" The dancer's relationship with Lopez, who originally asked him to be on the show, has evolved since the first season. He said that while there is a "mutual respect" between the judges, they have developed a "brother/sister kind of dynamic." "She asks me ... why I'm not married, why I don't have kids yet -- picking on me a little bit off camera," he laughed. "And I do the same to her!" Off the airwaves, Hough is preparing to embark on a nationwide tour of 59 cities, which kicks off April 5 in Charlotte, N.C.
Hough said he will be touring with a live band for the first time, as well as a cast of dancers that includes some familiar faces from past seasons of "World of Dance." He said some fans might be surprised when he not only dances in the show, but sings and plays guitar, as well. "I'll be singing in the show, everything from 'Singing in the Rain' to covers from 'A Star is Born' ... it's gonna be a lot of fun," he said. Although he's most well-known as a dancer, Hough has dabbled in singing before, most notably in the London production of stage musical "Footloose" and as Corny Collins in NBC's "Hairspray Live!" Hough, who studied musical theater from a young age, said a return to the medium is "definitely in the cards," but it's "a matter of timing." "On Broadway, what I want to do is to originate something or revive something, and that usually takes about a solid year to get it together and workshop it [and] get it up on stage," he said. During his breaks from TV and stage performances, Hough has been working with U.S. Cellular on the Future of Good program, which donates to causes championed by 16 young activists under age 16. "I recently just flew out to Wisconsin and I presented a $10,000 check to a young man named Cayden, who's only 8 years old and has already raised more than $23,000" for the Platelet Disorder Support Association, Hough said. "It warms my heart, it really does, to see these young Americans do such great work," he said. "I think it's important for us to focus on the good." Hough's own youth was spent largely at the Italia Conti Academy of Theatre Arts in London, where he studied theater, dance and other media. The school led to his big-screen debut -- playing a background extra Hogwarts student in Harry Potter and the Sorcerer's Stone. "We were there for like three months on that set. It was really fun," he said. The experience led to one major regret, however. "I actually stole all those things from set -- the tie, the robe. I thought, 'This is gonna be worth something one day.' And, unfortunately, I lost it all, so I don't know where any of it is," Hough said. The fifth episode of "World of Dance's" third season airs Sunday night at 8 p.m. on NBC.